Google Voice App Finally Accepted Into The App Store- What Does It Mean? Last week, Google announced that their Google Voice App was finally accepted into the App Store. You may remember the controversy surrounding Google Voice on the iPhone from September of last year, when Apple first rejected the app. After changing some of its App Store approval policies, Apple began accepting third-party GV apps this past September, but it was unclear as to why the official app hadn't made an appearance until now. In any case, it's here, it works, and it's a huge step forward for the App Store. 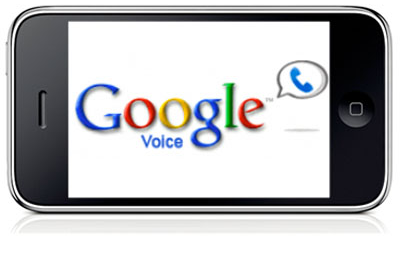 Google Voice allows its users to not only link multiple phone numbers to one Google Voice number, but also make cheap international calls and send free text messages. For these reasons, it was speculated that pressure from AT&T may have been a contributing force behind the initial rejection, in addition to the perceived threat of Android. Google Voice also features Voicemail transcriptions; while they are often comically inaccurate, it's a great idea and are sure to get better. So now that it's finally here, what does it mean for Apple, and what does it mean for you? For starters, this is another step in the right direction for Apple's infamous App Store approval process, which has been undergoing some policy changes the past few months. It seems Apple has been responding to criticisms of its walled-garden and the comparative openness of the rising Android platform. In my opinion, the App Store approval process is a good thing, keeping the quality of apps high (for the most part). With recent changes to policy and making their guidelines public, it's only getting better. This could also mean that perhaps AT&T may be loosening up in response to their critics- however, I find it much more likely that Apple has started to care less about what AT&T thinks, since they've continuously dropped the ball in keeping up with increased service demands. Whether it leads to approving more interesting apps for the App Store, or the iPhone finally spreading its wings to Verizon, it can only mean good things for you.